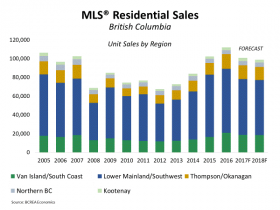 British Columbia’s position as the best performing economy in the country is bolstering consumer confidence and housing demand,” said Cameron Muir, BCREA Chief Economist. “Strong employment growth, a marked increase in migrants from other provinces, and the ageing of the millennial generation is supporting a heightened level of housing transactions. 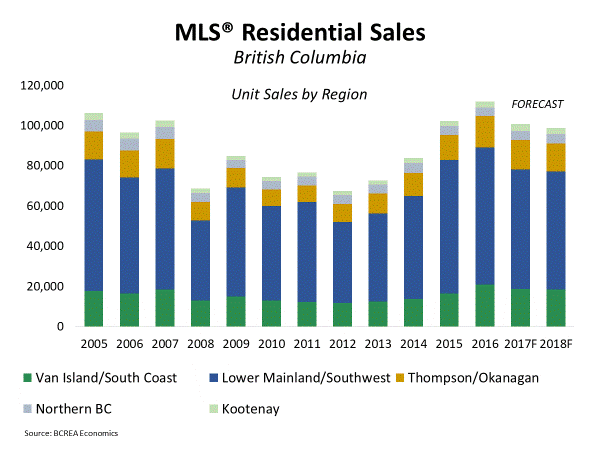 However, a limited supply of homes for sale is causing home prices to rise significantly in many regions, particularly in the Lower Mainland condominium market”.